Due to the government reclaiming back the Bestway Building at Prince Edward Road, Mellben Signature has to move from its previous location to the current location at Tanjong Pagar Plaza. I like the new location as it is more accessible and nearer to the MRT station. Dinner at Mellben Signature started with the Australian Baby Abalone in Superior Sauce ($12/pc). The abalone was firm and bouncy dressed in a flavoursome sauce. However I find the sauce a bit on the starchy side. 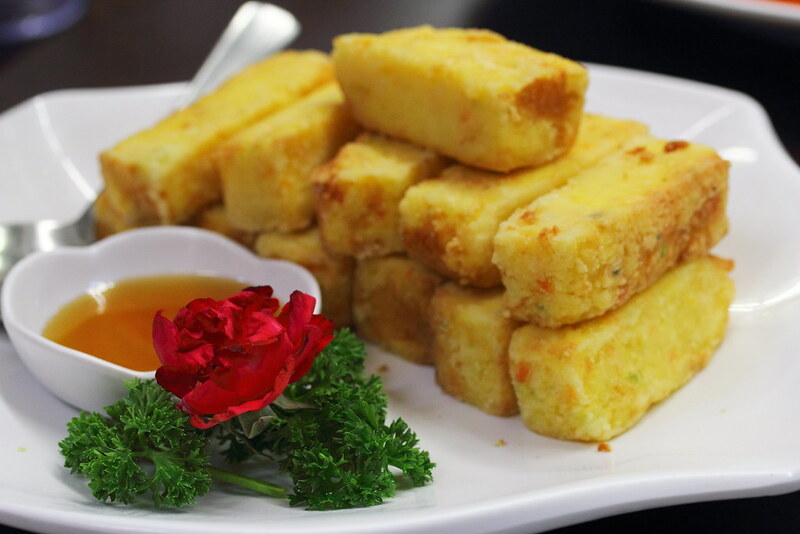 Crispy on the exterior and pillow soft in the interior is the Seafood Crispy Beancurd ($12/$15/$18). A delectable dish that will be enjoyed by both adult and young. 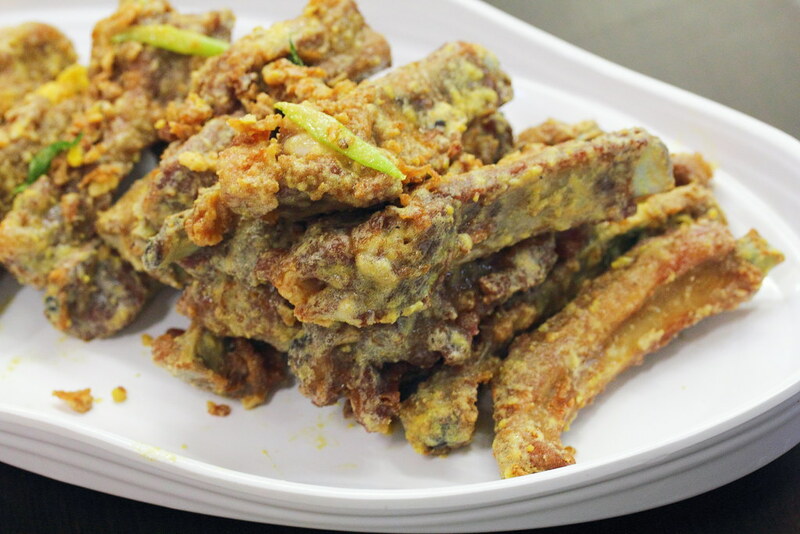 The Salted Egg Pork Ribs ($15/$20/$30) are hugemongous. The meat fell off the bone with ease. 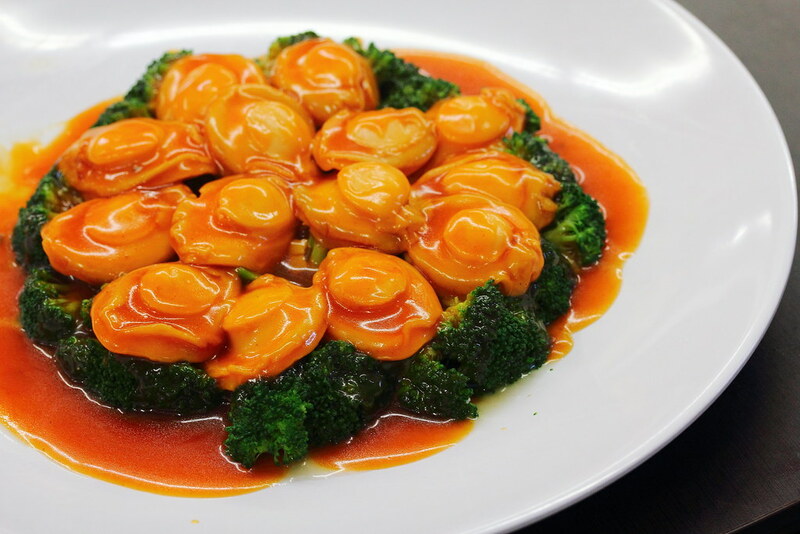 Coated with the savoury salted egg sauce, this is finger licking good. If the salted egg flavour can be more distinct, that will be perfect. This is my second time having Icy-Chilled Sweet & Sour Pork ($15/$20/$30). I had it previously at Kai Garden. I still have it gimmicky. Putting that aside, it is executed quite well. The sauce was not too sweet and the pork was firm with a good bite to it. 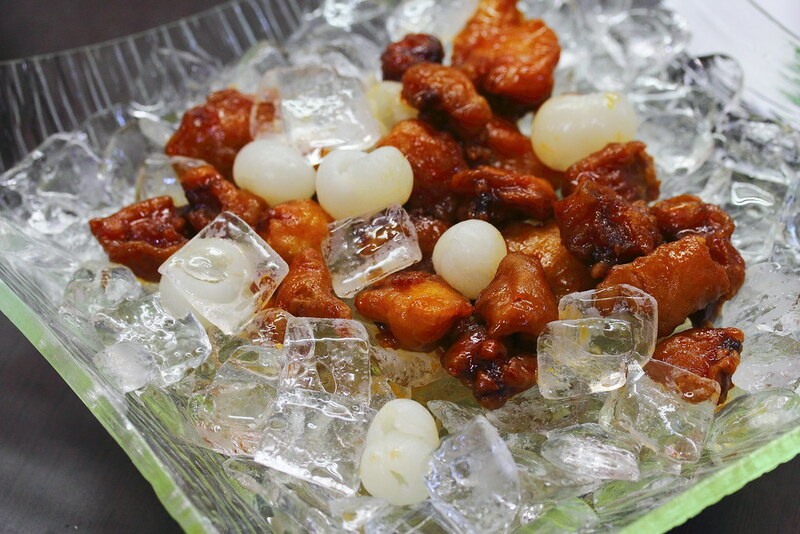 Even though the plate will drain the melted ice water, I would still advise to eat it quickly before it gets soggy when the melted ice water comes in contact with the pork. 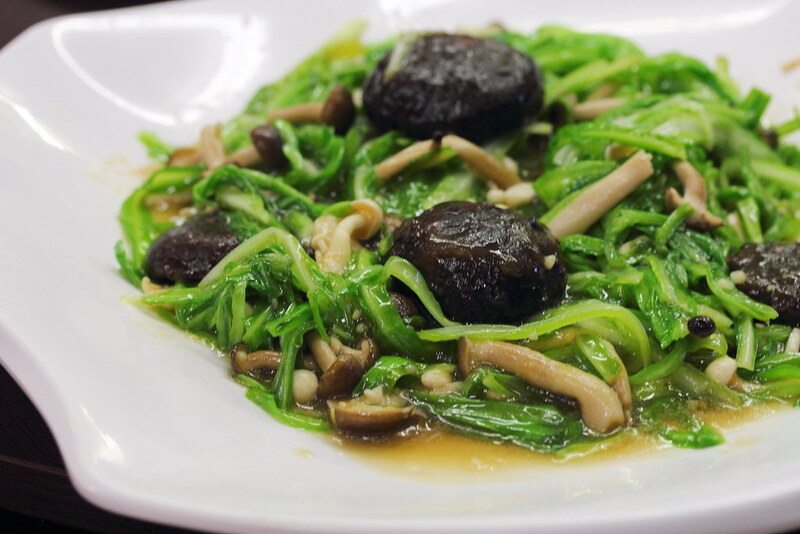 Stir Fried Garlic Chives with Shimeji ($20/$30/$40) is currently one of my favourite vegetable dishes to order at Chinese restaurant. I like the crunchy texture. It also does not have that strong earthy taste that most people dislike. 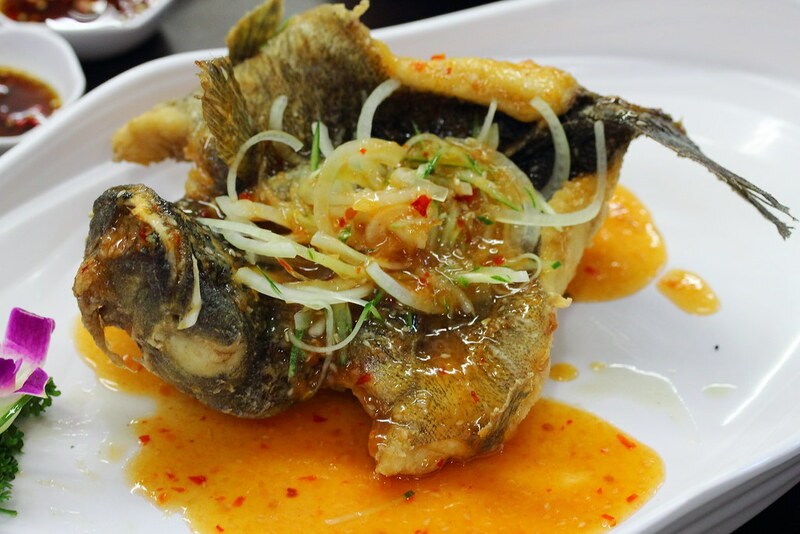 Deep Fried Marble Goby in Homemade Thai Sauce (market price), it maybe old school but a timeless favourite among many diners. 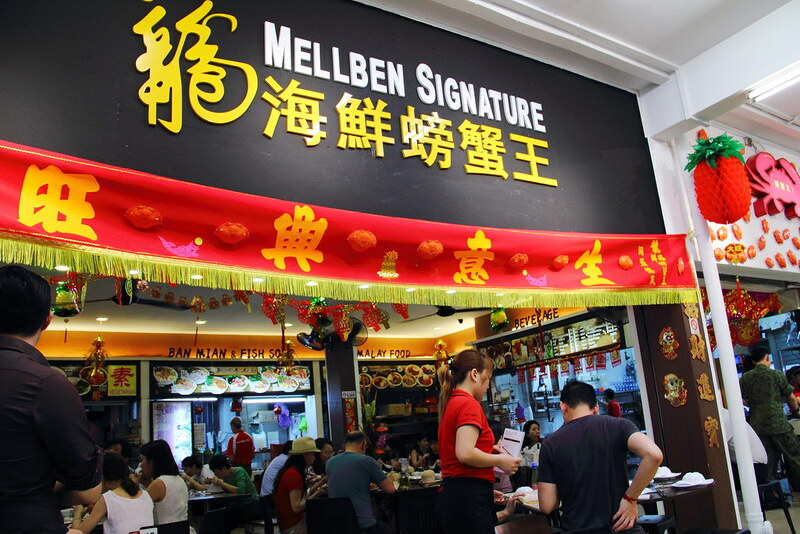 Mellben becomes popular when it started its first outlet in Ang Mo Kio serving delicious crab dishes. 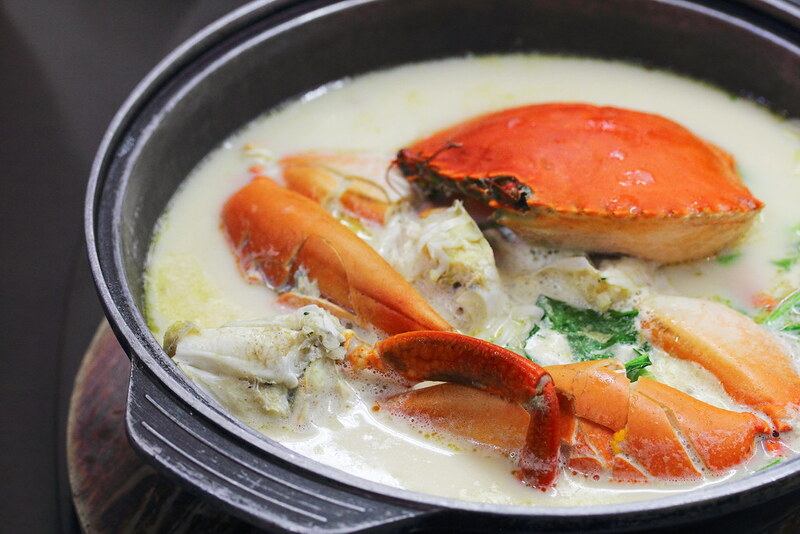 Hence a visit to Mellben, how can we not try their signature crab dishes. The crab is selling at $65 per kg here. 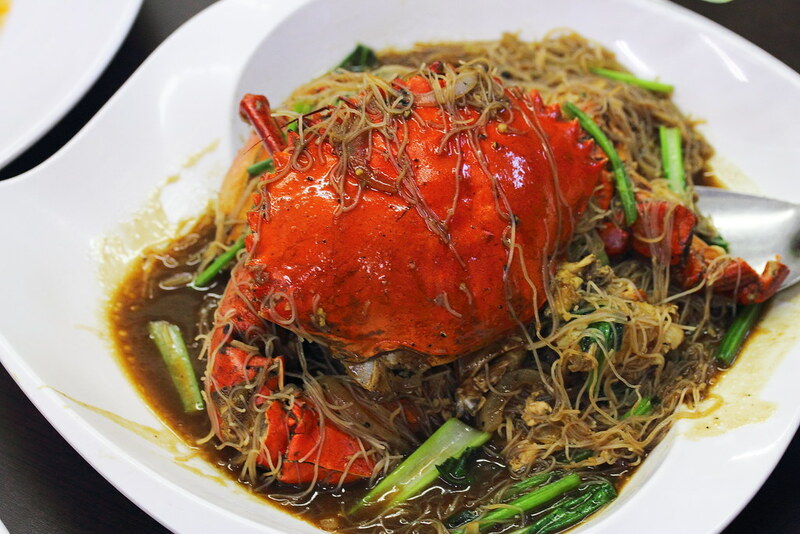 The Braised Beehoon Crab is cooked in a black pepper sauce. The smooth and silky beehoon coated with the black pepper sauce is slurping good. As this is a crab dish, I was hoping to taste the essence of the crustacean but it was overshadowed by the strong peppery taste. 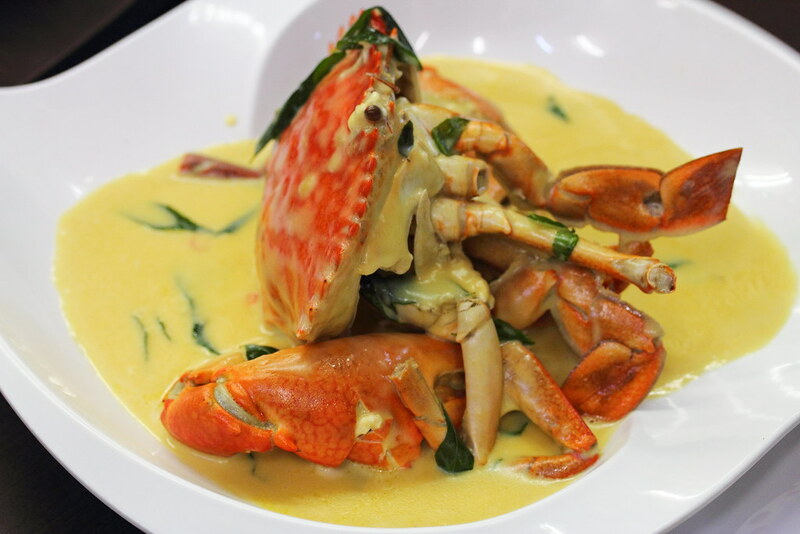 Aside from the sweetness and firm texture of the crab which got my thumbs up, I find the sauce for the Creamy Butter Crab lacklustre. Instead of the buttery flavour, it seems that too much milk was added to get that creamy texture. 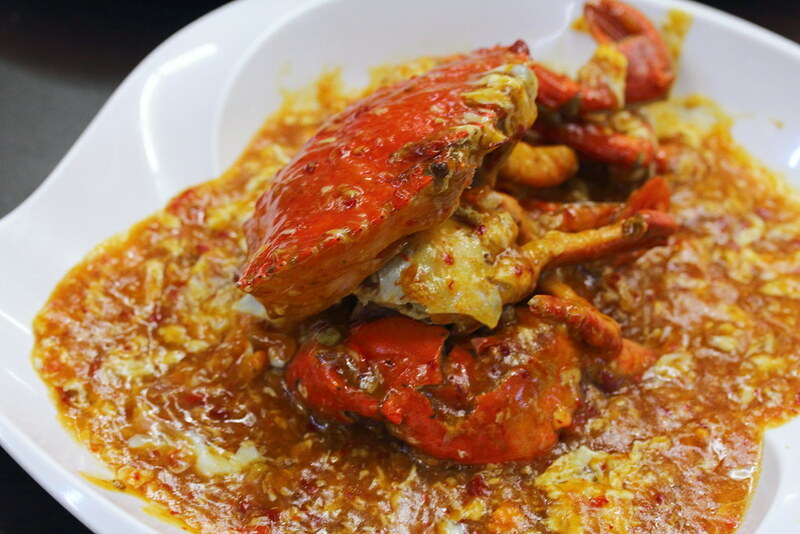 The Chilli Crab does have a spicy kick to it with an abundance of egg white in the sauce. Best to wipe it clean with some fried mantou. However the sauce was too starchy for my liking. The highlight for me at Mellben is the Claypot Crab Beehoon Soup. The milky soup probably has evaporated milk added to it for a lift in flavour and creaminess. I could also taste the essence of the crustacean infused into the soup as well as being absorbed by the thick beehoon. This is worth going back for second helping or maybe third. You can also request to add more soup and beehoon for a small cost. Overall I have an enjoyable meal at Mellben Signature. I would highly recommend ordering the Claypot Crab Beehoon Soup. The restaurant is packed with people when I visited in a weekday evening. Hence I would advise making a reservation if you plan to make a trip down to try their dishes. I hereby would like to bring an incident to your attention regarding your foreigner Chinese employee with an unacceptable & a provocation behaviours towards me as a customer. I am a regular customer often patronized your place for either breakfast and lunch very often . On Wednesday 3/4/17 at about 10am i experienced a very upsad & angry moments in your business premises. I ordered a cup of milk tea your foreigner Chinese employee whom preparing my drink had a bad attitude & problematic behaviours , he looked at me and pass a rather shocking and surprise remarks to me by saying hey how come u r still around? i was puzzle of the remark he said so i asked him what does he meant by that? so i told him hey i don't really know you so please do not talk nonsense thing i am here as a customer to purchase drink so just prepare my drink for me please. He responded me back to me by asking me whether am i a Singaporean or not ? by his speaking and asking nonsense which he really pissed me off so i replied back to him of course with a bit of my angry tone telling him what is there to do with you whether or not i am a Singaporean? To my surprise the $1 coin that i paid to another Chinese employee earlier on which he had keyed in my order and placed my $1 into the cash machine, then the attitudes Chinese employee straight away opened the cash machine took out a $1 coin then passed it back to me and he said is it how you all singaporean's order your drink? Then he said to me with his angry tone that he's not happy right now and decided not to sell me the cup of milk tea . I obviously was very upset & also angry about his unacceptable and provocation behaviors towards me, so i told him that he has not right to behaved and treated me as a customer in this manner? In return he responded aggressively by look at me and challenging me by saying so what do u want right now ! ? during that moment there were about 5 customer's queuing behind me awaiting to purchase thier drinks too. Under such Circumstances being consideration and prevent any further arguments , confrontation or even a really bad incident might occurred so i decided to gave in and walk off . I also wish to add that this particular same Chinese employee, he had previously once before did passed a unnecessary remarks to me while i was ordering a cup milk tea from him. He looked at me as seem that i had offended him and said why your face so fierce it's no good you know? please smile...he said that to me 3 times like he's making fun of me. During that time no doubt i was actually felt angry of his remarks but chosen to ignored him took my tea and walk off. Now it happened again as the incident i mentioned above, to my point of view this Chinese employee of your company really had an attitudes and problematic mentality. I sincerely hope that the management would investigate the matter and to take an appropriate actions toward such employee that it shouldn't have be tolerated, it to prevent any unforeseen and unpredictable incident might be occurred in your business premises at anytime in futher, if this would to be happened to someone whom it is not so patience and tolerance level like me something really bad could have happens in business premises on that particular date & time mentioned ? it also no good for your company reputation too. If you needed any clarification regards to the matter, please do not hesitate to text me .